WHAT’S IMPORTANT FOR QUALITY HUNTING LAND? 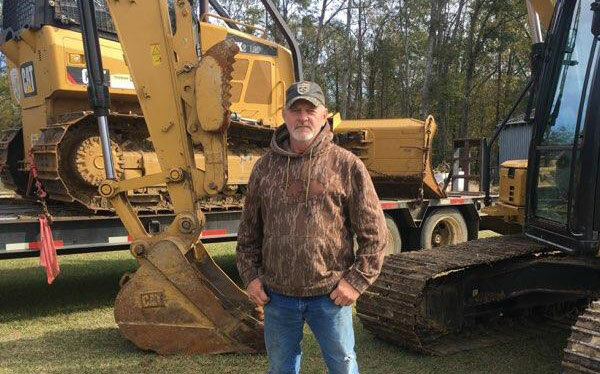 Greg Briggs of Porterville, Mississippi, works for Mossy Oak GameKeepers and focuses on land enhancement services that offer landowners ways to enrich and improve wildlife habitat on their land. Land enhancement services includes things like putting in drainages and roadways, building ponds or doing whatever needs to be done to improve land to make it more suitable for wildlife and more accessible to the landowner. For instance, if someone purchases some woodland property of 50-100 undeveloped acres, the first thing they should do is get access to the property. If the property is made up of thickets that the landowner has to get down on his or her hands and knees to crawl through, that property is basically useless. Most people want to have easy access to their entire property, which means having a good road system on the property. 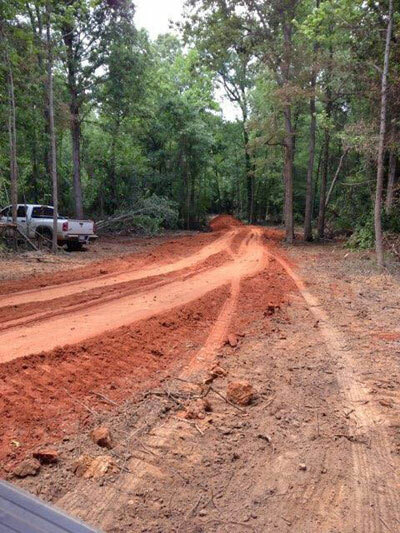 Once the road or roads are established, then the landowner can develop food plots or tree plots and have more hunting access. Access to the property is the number-one ingredient for improving land for wildlife and hunting. Many landowners buy clear-cut property and want to know what they can do to improve that land. For the first five years after a property’s been clear-cut and cleared, you’ll have briars, broom straw and pine trees, if you’ve replanted, which are good places for deer to feed and to bed. If that’s a small tract of land, you may only want one road going through the property. But a road is not just a road. Some people don’t want to put any kind of rock on their main roads, because the rock can cause their 4-wheelers or trucks to make a lot of noise, especially if they’re turkey hunting before daylight. But you have to establish a really hard base for your road. If you only have a dirt road, and the land receives a lot of rain, you may get stuck on that road, if it’s not properly drained and if the sun can’t reach it. Sunlight is critical to having a good road. Some people like to have a canopy of trees over their roads. However, if sunlight can’t get through that canopy, your roads will remain wet, and mud holes will start developing in the road. If you don’t like rocks, you may want to consider an asphalt-based product. I strongly suggest that you have a hard base main road and cut trees back, so they don’t shade the road. Then if you want to create smaller roads that you can walk and hunt on, you can create them after you’ve taken care of the main road. All that’s required to keep those secondary roads in good shape is to make sure they’ve got sunlight and are drained. In much of the South, woodlands, especially along river systems, may be flat as a pancake. If you have that kind of land, more than likely it will flood every year, so you’ll need to build up the roads above the land. If your main road is flat, you may need to cut a ditch on each side to carry the water away from the road to a lower area. The second step to improve your property for wildlife, regardless of the size of that land, is to make sure you offer good food, cover and bedding sites. If you only have four acres, one food plot is probably all you’ll have room for to attract and feed deer. If you have 10-12 acres to hunt, you may be able to squeeze a couple of small food plots in on that property. If your property has been clear-cut and there’s no vegetation on the ground, one of the best ways to create cover and bedding area is to let natural vegetation grow back. In one year, you’ll have weeds and briars that are chest-high, that will naturally create a bedding area, but it’s mainly going to be a briar patch. I believe that in improving land for wildlife, a new landowner should consider what can be done to make money off the land. Even if you don’t want to plant pines on the entire property, I suggest planting either pines or hardwoods on a portion of a clear-cut. Or, you may plant a pine stand, and on another part of the property, plant hardwoods. However, hardwoods require a lifetime of growth to become mature. It will take about 75 years to produce hardwoods for logs, and you may have some thinning of your hardwood stands over that time. But if you plant a pine stand, you can regain a portion of the money you’ve invested in the land through timber sales while also using that property for hunting. If you have only a small 12-acre plot of land to primarily hunt on, I recommend that you have one or two food plots of about 1-acre each. You also may want to do some supplemental feeding in and around that food plot according to the rules and regulations of your state fish and wildlife department. Remember, deer and turkey are both browsers, so they need some native food as well as planted food. Some of that property also needs to be a bedding area. So, on a 12-acre tract, two food plots of about an acre each will be all I recommend that you plant on that small property. If you instead plant 10 acres in food plots without any bedding area, the deer may come in at night and feed in your food plots, then bed off your property until the next night when they’ll return to your place to feed. On a 100-acre lot, I don’t suggest having more than 6-8 acres of food plots. If you scatter food plots throughout that land, then you’re using your entire property to provide bedding areas, feeding places and travel corridors for both your deer and your turkeys. Most food plots that are planted today are about one acre. If you use more than one acre for a food plot, you’re using up too much of the land that you have to hunt. You can hold deer on your property better when you place the food plot within 100 yards of the bedding area. You need to avoid having the food and the bedding area so close together that a hunter going to his tree stand or box blind will spook the deer that he hopes to take. Have a minimum of 100 yards between the feeding and the bedding areas; more than 200 yards is good. What if you don’t have any water sources on your property, such as a creek or a pond? This is most important for hunters in the Southwest and the Midwest. Many people are surprised at how little equipment you need to create a water source on your property. Sometimes, if you’ve got a little drainage ditch on the property and you know someone who has a front-end loader, all you have to do is make that little ditch wider and deeper to hold water when it rains. If your hunting region doesn’t have much rain and you don’t have any creeks or rivers on or near your property, one of the simplest and cheapest ways to get water on your property is to go to a Walmart or a discount store and buy a small plastic swimming pool made for children. I’ve used these kids’ swimming pools on properties where there’s been a bad drought, and deer will come to drink out of them. We’ll haul water onto the property in a larger tank and simply pump the water out into the various swimming pools. 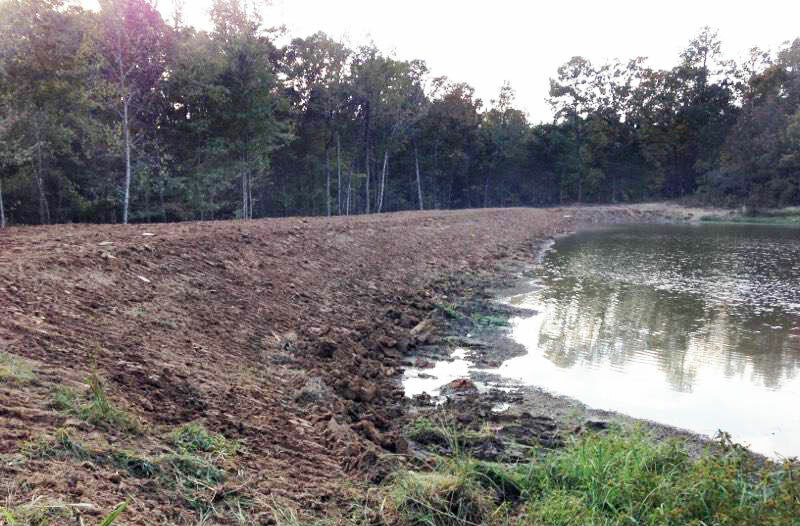 This inexpensive way will put water where deer and other wildlife can get to it. If a rain does come, that swimming pool will catch some water. Most of the time throughout the winter months, there’ll be enough rain to keep water in the plastic pool. Another problem associated with droughts that often happens in the South is that you won’t get enough rain for your food plot seed to get it out of the ground, or your food plot will be just coming up when a drought hits. If you can get a large container that will hold 50-100 gallons of water, and your property has a lake or a stream on it, you can pump water into that tank and water your green fields. That little bit of water at a critical time can save a green field when the seeds are trying to get their roots deep enough into the ground that a drought won’t kill them. One of the simplest ways to water your food plot is to get a 400-500 gallon tank that’s mounted on a trailer with a valve on the bottom. Put a flat plate under that valve, so that as the water comes out of the tank, the water will be spread out. You can pull that tank behind a 4-wheeler or a tractor and let the water flow out of the tank and across the plate to get a wider distribution of the water from the tank. If where you hunt is having a hard drought, and you physically can’t water a big green field all day long, water as much of the food plot as you can. If you can only water half of your plot, then at least you’ll have half of your food plot growing and only have to replant half of what you will otherwise. Another way to provide water on your property may be to build a pond. I know some hunters who only have 10 acres but have dug a pond on that property. But most of the time on such a small property, the pond will only be one acre or even less. If you have 30-40 acres, you can put a 1- to 2-acre pond on that land and not only provide water for wildlife but have a small fishing pond to stock with fish. That adds additional value to the property, because it can be used for both hunting and fishing. Most people only think about planting food plots to attract deer and turkeys during deer or turkey seasons. However, you can increase the amount of wildlife that you have on your property, if you use your green fields all year long. One step that many hunters and landowners overlook when planting food plots is doing a soil test before they buy seed, lime and fertilizer. The county agents throughout the nation can check your soil and tell you how much lime or fertilizer you need before you plant. Most land has a low pH. But that problem is really easy to solve with lime, which is relatively inexpensive. Your county agent can tell you exactly how much lime you need for the size of the food plot that you want to plant. Another thing that the county agent can tell you is how much and what type of fertilizer to use on the land. This information not only will help you grow the best food plots you can grow, but it also can save you money. If you think you need 400 pounds of fertilizer for your food plot, you may buy that much fertilizer but only may need 200 pounds. So, knowing what additives need to be used to increase the quality of the soil for your green field plantings is critical not only to produce a good crop, but also to save money. Because we’re a part of Mossy Oak, we plant our green fields with Mossy Oak BioLogic green field plantings. BioLogic has seed mixtures that are appropriate for whatever state you’re planting in and for the time of year you are planting. Right now, we’re planting Winter Grass Plus in our green fields. This mix has wheat, oats, some brassicas and clover, and it’s a really good mix of seeds. 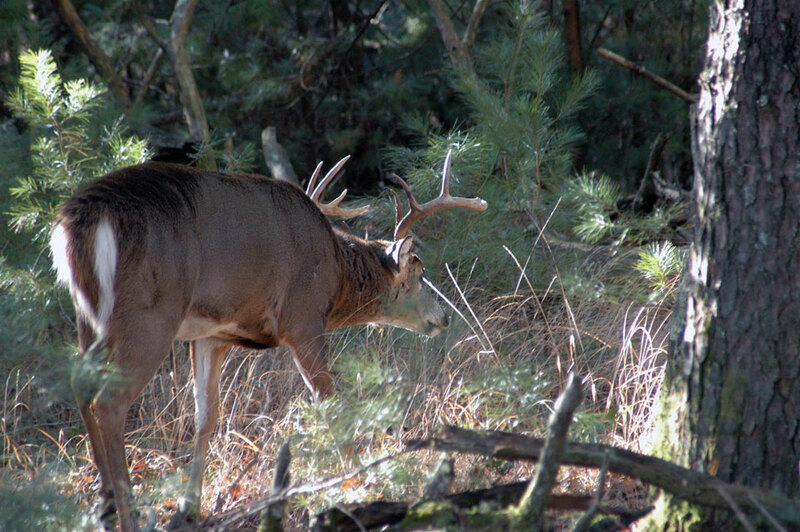 If the lands being planted get adequate rainfall, that mix will usually produce abundant deer forage throughout most of the winter here in Mississippi and many other Southern states. 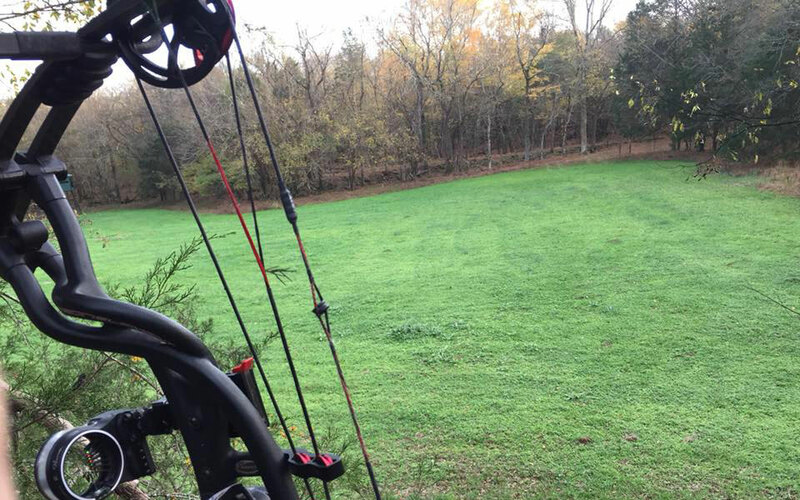 The more you plant green fields for certain times of the year, the more you’ll accustomed the deer will be to those green fields all year long, especially during deer season. This reason is why we recommend planting annuals and perennials. Then any time deer come to that green field, they’ll find food that tastes good to them and is highly nutritious and abundant. We often think about improving land for wildlife only after someone has bought a piece of property or a hunting club is leasing property. But if you own woodlands and you want to sell some of your woodland property, having someone come in with a brush cutter and cutting the brush around the camphouse, the ponds and the through areas that are so thick you can’t see into them definitely can increase the value of the land. Building roads through the property, so that all the property is accessible, planting green fields, managing the water on the property and all the things GameKeeper’s land enhancement services recommend can add a great deal of value to the woodlands you want to sell.